Annual festival celebrating the migration of the Sandhill Cranes as they stop over in the fertile wetlands outside Monte Vista CO. If you'd like to purchase any of these photos WITHOUT the watermark, please contact me. 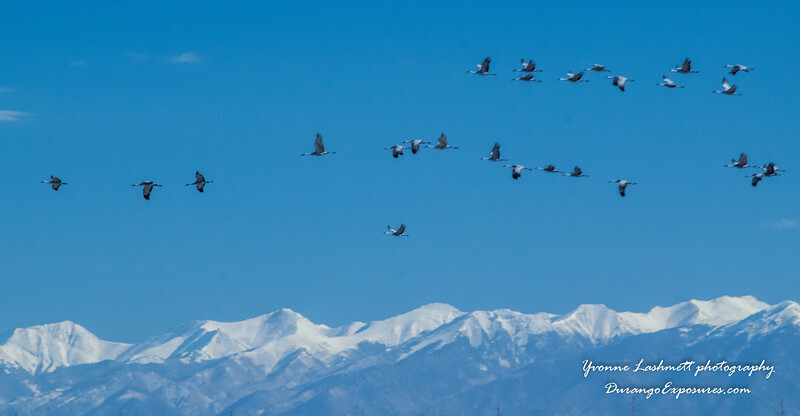 Sandhill Cranes flying high over the Sangre de Cristo Mountains.